Hubbell Premise Wiring offers the correct enclosure for your cat6 or electrical wire structured cabling installation needs. From rack systems, cabinets and power distribution products to cable management solutions, Hubbell Premise Wiring offers them all. 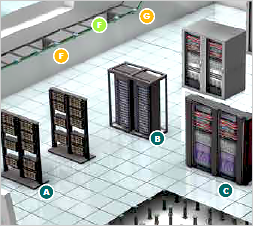 The M Series cable management products offers the best support, greatest capacity and most options for organizing cables in data centers, telecommunications rooms and other network installations. The VM, vertical cable organizers, have cable support at every rack unit and these are available in 4 depths and 4 widths to fit a broad range of applications. Metal line card featuring Cable Management products, Mounted Enclosures, Ladder & Basket Tray products, Relay Racks, Full Size Enclosures, and Grounding & Bonding products. 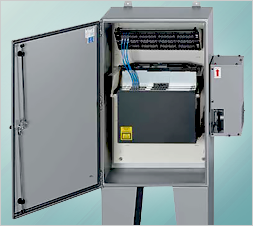 Hubbell’s Industrial RE-BOX® Enclosure with Cooling product offering allows deployment of network equipment outside of the data center while maintaining an appropriate temperature operating range. Hubbell Premise Wiring is a proud member of the Hubbell family.